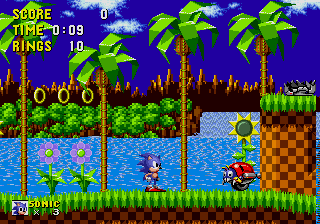 Perhaps in response to Sony's troubles, Sega is hiring hackers to close possible loopholes in its infrastructure. Chalk Sega up on the list of companies coming out to support Sony's efforts in dealing with the security breach of the PlayStation Network that resulted in the theft of millions of people's personal information. Mike Hayes, head of Sega's European and American divisions, thinks that Sony has done all it could to respond to the attack. Sega is determined to prevent a similar attack, and Hayes is not afraid to work with former criminals to make sure his networks are secure. "Obviously anti-piracy solutions are key to us and we think its important to develop proprietary ones," Hayes said. "So we are hiring some extremely intelligent people from Eastern Europe that perhaps were previously on the other side of our computer screen, shall we say." Sega has come under attack before with some of its most important brands. "We've experienced those kind of attacks ourselves on a much lesser scale, particularly for Football Manager a few years ago. We constantly get them and know it severely damages our business," said Hayes. "We won't go into the whys and wherefores, but we know that can happen to anyone in the legitimate sale of intellectual property." The new "employees" are meant to solve that problem. "They will be working with us in our technical studios to help solve some of those issues," he said. "It's our view that we can use some of that brilliant intellect and technical capability to help consumers enjoy more games legitimately. I think that's quite important." So while Sega is being proactive in the fight against hacking and piracy, Hayes certainly supports its comrades in the gaming industry. "We have nothing but sympathy for Sony," he said. "It could happen to anyone. We support Sony 100% through the difficult time, which they've handled very well. Sony has communicated extremely well with its publishers, they've taken action and they've led us along each path they've chosen. I don't think they could have done any more." Except hire hackers to protect their systems before the attack ... that's just badass.